Secure short-term and long-term warehousing including distribution and shipping both domestic and international. Improve the speed in your supply chain with our cross dock and transload services, pick-and-pack product handling and distribution, and sufferance warehousing space for customs inspections of your shipments prior to storage in our facility, if an inspection is requested by CBSA. Interactive Freight & Warehousing offers you "on-time" handling, distribution and delivery of your goods and our staff are safety and proficiency qualified in fork-lift materials handling. The Independent Forwarder's Warehouse ! Transport Canada approved air cargo screening and scanning facility located at 3380 Airway Drive, Mississauga, available to the Freight Forwarding community. Close to Pearson International Airport and major highways 401, 407, 409, and 427.
without spaces and click the Search button. All goods to be insured by customer. Maximum liability $4.41 per kilogram unless declared valuation states otherwise. Not responsible for concealed damage, nor pilferage from sealed containers. 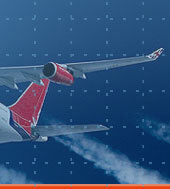 Services across North America and around the world through our global partners. All contents © copyright 2014. 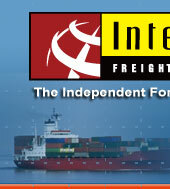 Interactive Freight & Warehousing. All rights reserved.